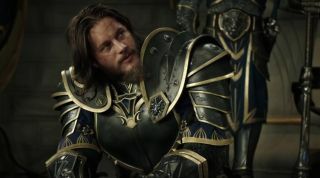 The Warcraft movie is hitting cinemas soon, offering an opportunity to immerse ourselves in Azeroth without having to click on anything. That's it embedded above by the way, and as you can see, it's got orcs, lots of vaguely profound war-related aphorisms and some thematically inappropriate electronic music. The Duncan Jones directed film will arrive in cinemas on June 16. The newest trailer follows another, much shorter one released last month, which also features men and orcs clashing in beautifully rendered CGI environments.